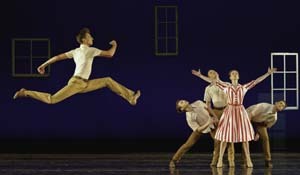 The other night I had a ballet dream. Not a dancing onstage kind, or one of those scary ones where you hear your cue but you’re trapped in your dressing room, two floors down, panicking that you’re blowing it. No, in this dream I was an audience member, not a dancer. I’d been allowed access backstage. Two professional ballet dancers had just invited me to join them post-performance. The good fortune of it produced a shivery thrill, the kind you feel as a teen, sighting a movie star or your biggest crush. 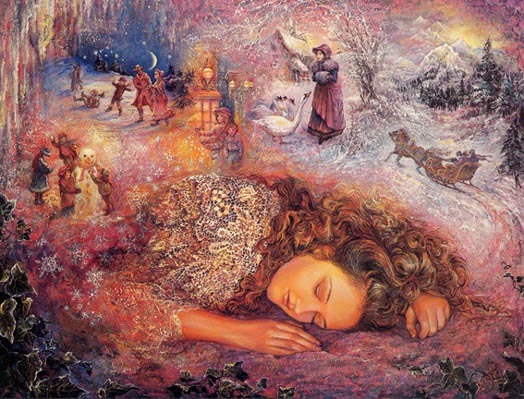 In that way dreams have of transporting you instantly, next we were in one of the dancer’s apartment, and I’d put together a sumptuous dinner for them. There were, perhaps four or five of us there. Through the room, from time to time, came other dancers, their curious glances directed my way, an unspoken who is this? but I was accepted because I’d been invited by One of Them. How good it felt to be accepted here, by these exotic creatures, professional ballet dancers. And yet after the meal, I was still hungry, not for food but for discourse, yearning to ask more questions, get deeper inside their skin, their experience. It reminds me of when I was younger, still performing and I’d ask my mom eagerly, “what did you think of it?” She’d say, “honey, it was very nice,” and oh, how dissatisfying that was. I longed for so much more detail. How did it feel, inside her, watching me? How did she really see my dancing? Oh, the narcissist’s unquenchable thirst for more description of how they are perceived, how they are admired. And yet, in this case, it was the opposite of narcissism. Call it the magnet of celebrity, or perhaps the writer in me, relentless in my hunger to delve deeper into the psyche of someone so different from me. Whatever it was, I wanted more. I was desperate to get ever closer to this divine creature, the professional ballet dancer, she who had found and touched The Holy Grail of ballet. But before I could strike up further conversation, Beautiful Ballerina woman (suddenly there was just the one, but the queen of them) rose, all grace and loveliness, and announced that the food had been wonderful, delicious, thank you, but she was going to go relax now. I smiled back, equally gracious, joking “sounds like my cue to leave,” and was crestfallen when she nodded. But of course. I was just another fan. This meet-up may have been the pinnacle of my evening, my year, but the feelings were not mutual. Far from it. She wafted off to her room, leaving me and the other admirer to see ourselves out. Illogically, I decided to first clean up her kitchen. (And for the record? I hate to clean the kitchen. Hate it.) But as I cleaned, I held no grudge. 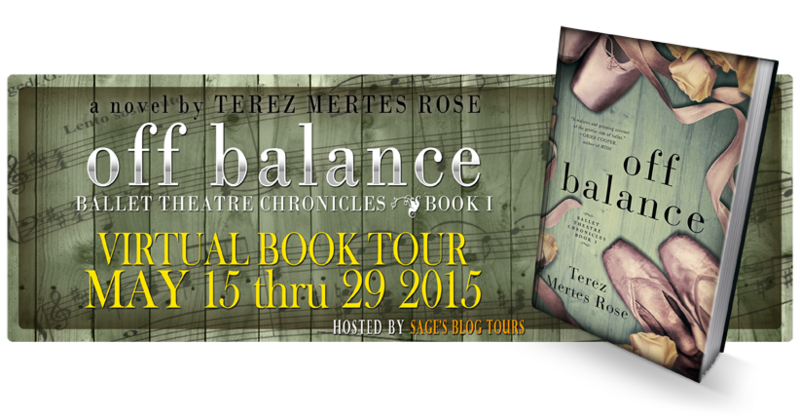 I remained loyal, because I so revere the art, the craft of ballet, and want to do my bit to support it. How interesting to ponder the dream now, in the light of day and clear logic. Is it ballet itself that I am striving to serve? Am I a lesser creature, merely an adoring groupie? Can’t say I like the thought. I liked being the performer too much to take the eternal back seat now. And yet, when I consider it closer, I find that “adoring groupie” doesn’t describe it. It’s not a passive position, at all. Yes, I am serving ballet and its professional dancers. 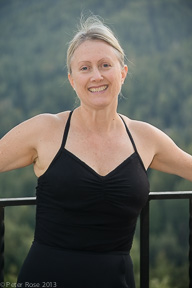 The prima ballerinas I write blogs about. The art itself. My art as a writer. My self-professed obligation to the public to take the dance world and write about it in an accessible, lively manner, getting people to read about dance. It’s not a place of subservience at all. I think the world needs this. 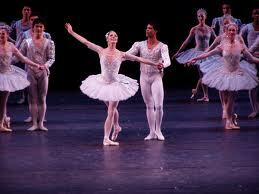 It needs me in this capacity far more than it ever needed me as a ballet dancer. But back to the dream. In the last bit, I was dishing the leftover into a container to put in the refrigerator. And I thought, wait, why don’t I take this yummy leftover home for me? I’d bought the ingredients, done all the work, served and cleaned up. A no-brainer. Except that I knew Beautiful Ballerina would enjoy it, and the poor thing wasn’t that much of a cook, that was clear. She needed me. She might never see it that way. But without my support, the nourishing things I’ve given—and you multiply my efforts by a thousand, all those other supporters of the dance world—she would languish. Waste away. Expire. Subservience, hell no. The ballet world, the performing arts in general, need us. They need audience members to buy for tickets. Patrons who offer donations and grants. 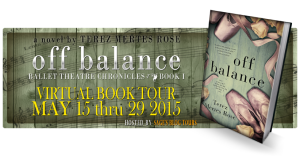 They need bloggers and dance reviewers to spread the word. And so, in my dream, I left the food behind. Left it for her. I’ve learned, after all, how and where to find plenty more. This entry was posted in Ballet, Life and tagged adult ballet dancers, ballerina dreams, serving the dance community, Terez Rose on October 23, 2013 by admin. Play the violin in 5 easy steps! I know, it sounds like a horrible, cheesy infomercial. But the truth is this: if you’ve always wanted to play the violin, or have mused about what it must be like, but you’re thinking, nah, too much involved, well, I’m just saying, the opportunity might be closer than you imagine. 1) Go to a music store that rents stringed instruments. There are many. Think of all the kids doing it for school orchestra. Slap down that credit card and for $20, you have a violin for a month. Comes in its own case, with a bow. A bad one, but a bow. Consider buying a shoulder rest for greater comfort. Or not. 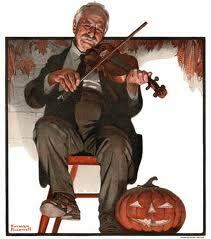 Some violinists feel they play better without one. 2) Ask staff if they know violin teachers. Odds are high they’ll know several, because kids renting violins are likely going to be having the occasional private lesson in addition to the student orchestra. Arrange for a few lessons. Even just one. Or don’t. 3) Take the violin home. Pull it and the bow out of the case. Tighten the hair on the bow so it’s taut, with a pencil’s thickness between the bow and the hair. You do that via a little adjuster thingy on the base of the bow. Which is called the frog. Don’t ask me to explain. 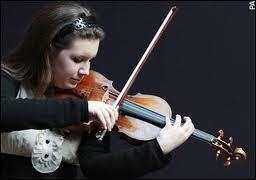 4) Run the bow in a downward/upward motion across the strings. Try to make it straight, like a bowling ball going down its lane. 5) Look at yourself in the mirror. You are playing the violin. Okay, maybe the sound produced doesn’t qualify as music. But understand this. You are playing the violin. You might be saying right now that this is wildly simplistic. Sure. I’ll give you that. But I’m going to argue, from the “just do it” philosophy of life, in the way someone who’s never written a novel before can just start writing one and be doing it, and the way any endeavor, whether big or small, commences. You just do it. You throw yourself in and cheerfully blunder your way through it. I’ll never forget doing my own first steps, renting the violin, chatting with the teacher who agreed to take me as a student, even though it might only prove to be three or four lessons (it was, initially, merely research for a novel I was writing). I knew I was not a musical instrument person. I sang, danced. The world of actually making the music felt very foreign to me. But I’d always been fascinated by the violin, its repertoire, the range of sounds the instrument produced and the emotions it evoked. Now here it was, finally, in my hands, in my home. And yes, I was bumbling. I sounded awful on that violin, the scratch of the bow producing honks and squeaks that sent the cat running from the room. But I was playing the violin. You can try self-teaching, but seriously consider the lesson idea, if only to get feedback on bow hold, chin and hand placement. There’s nothing intimidating about it. Week one, my teacher had me plucking the notes of a one-octave scale with my finger. Singing along with the notes. The next week, the bow got introduced. The next week, I learned and practiced a rudimentary song. After that, the hunger to do more seized me, and I signed up for permanent lessons. There are lesson books out there that don’t make you feel like a moron. 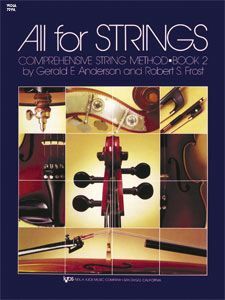 (I’ve enjoyed the “All For Strings” series by Gerald E. Anderson and Robert S. Frost, and “Beautiful Music for Two String Instruments” by Samuel Applebaum.) There are tunes in these books that are easy to follow that make you feel —gasp!– like you are playing real music. Within a month, I was succeeding. Still sounding thin and scratchy, I’m sure. But the concept astonished me. 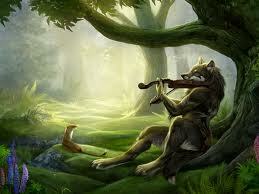 I was making music, on the violin. This thing I’d long considered out of my reach, out of my realm. It was that easy, in the end. This post isn’t intended to be a true “how to.” There are dozens of blogs that devote themselves to every step of the process. Violinist.com (http://www.violinist.com/discussion/) is a wonderful community of violin-playing teachers, students, professionals and amateur enthusiasts. I’m here today simply to reiterate this: if you harbor any interest in learning how to play the violin, or if you’re merely curious to see a violin up close, examine how it works, what’s stopping you? For $20, you can rent this fun toy of an instrument (I say that because the violin is so darned cute and pretty, part of my satisfaction is just looking at it, tucking this pretty thing under my chin), and goof around. You are not too old to start. It is not too hard. You are not too broke. It is not too inconvenient. 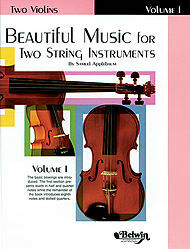 This entry was posted in Classical Music, Life, The Violin and tagged "Beautiful Music for Two String Instruments" by Samuel Applebaum, adult beginner on the violin, All For Strings" by Gerald E. Anderson and Robert S. Frost, finding a violin teacher, how to begin on the violin, How to play the violin, how to rent a violin, learn violin in 5 easy steps., student on the violin on October 15, 2013 by admin.